Thanks, guys . Hoping to have it soon! I'm just floored, because I've gotten 9 or 10 d meds (a few before the log) and still haven't gotten KBD heads! I'm worried when I do get the heads I will initially mistake them for KBD pet XD! 984 kills, and 5 kbd heads! 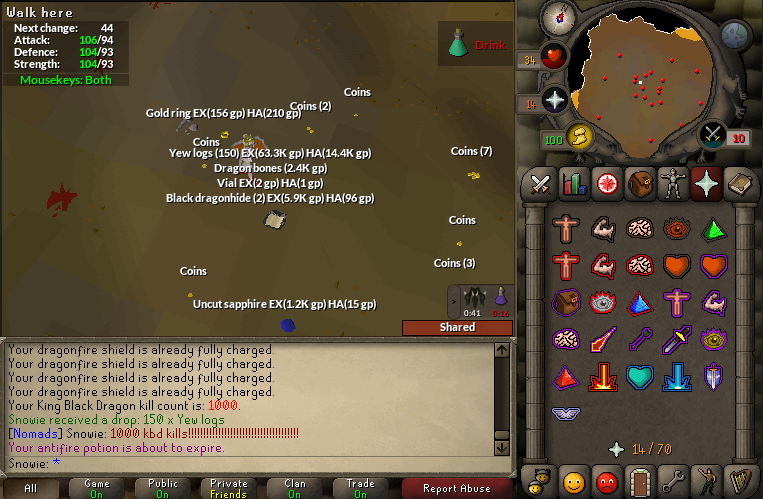 That's an average of one every 37 kills since I got my first KBD heads. Almost 1,000 kills, but no pet so far, sadly. I finally hit my #100th trip as well! Been at this for a while now. Hoping to get a pet soon! 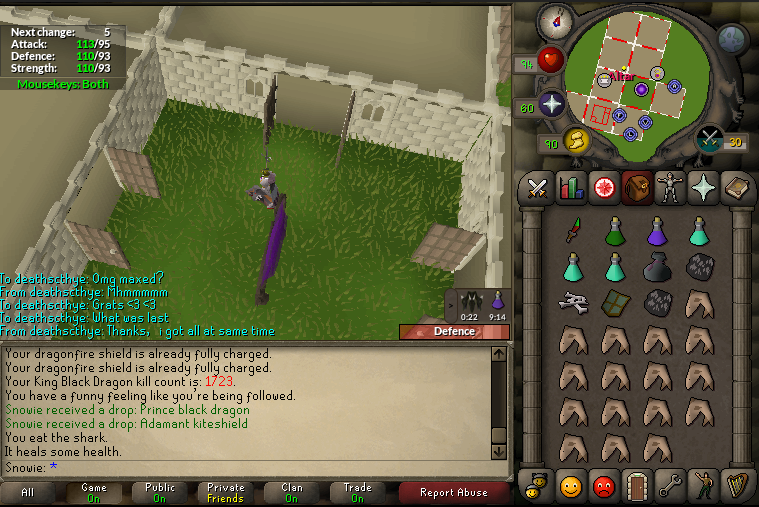 I'm calling pet between 1000-1200 kill count. Grats on 1k!! You'll get the pet real soon, i can feel it. Getting a pet was an amazing accomplishment. It's scary how hard it is to get one when you consider that you actually got relatively lucky based on its drop rate. Any post-pet plans? Going to make a pro menagerie? You know, that's been my biggest problem. Once you get something you've put so much time and effort into, you don't really know what's next. I have been interested in doing a lot of Boston, so I suppose getting a pet from God Wars boss would be pretty nice. I currently I'm going for 70 agility so I can go to Sara God Wars, though.